Malaysian loves holidays and festivals. 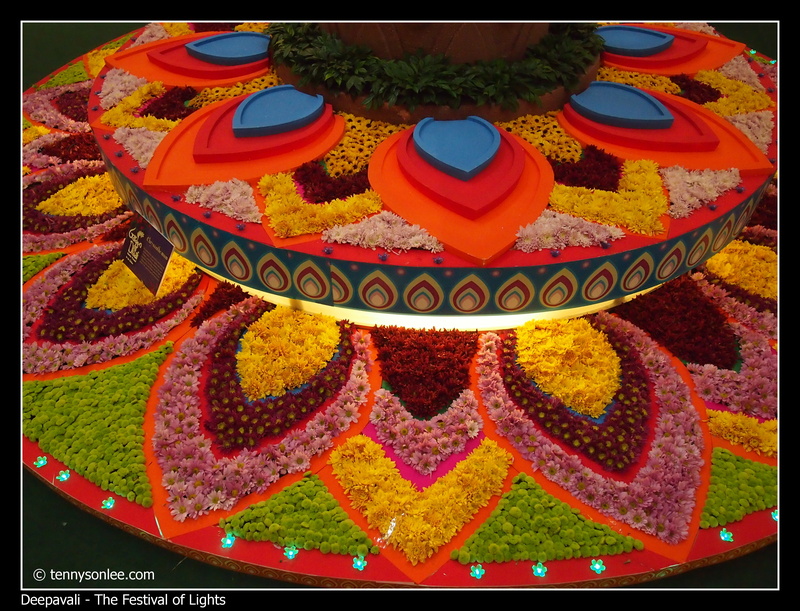 The main holiday in the month of October will be the Festival of Lights. So many shopping malls will decorate the malls with the festive mood of the month. The shots below were taken at Sunway Pyramid. Let me start off with the “Light of Love”. 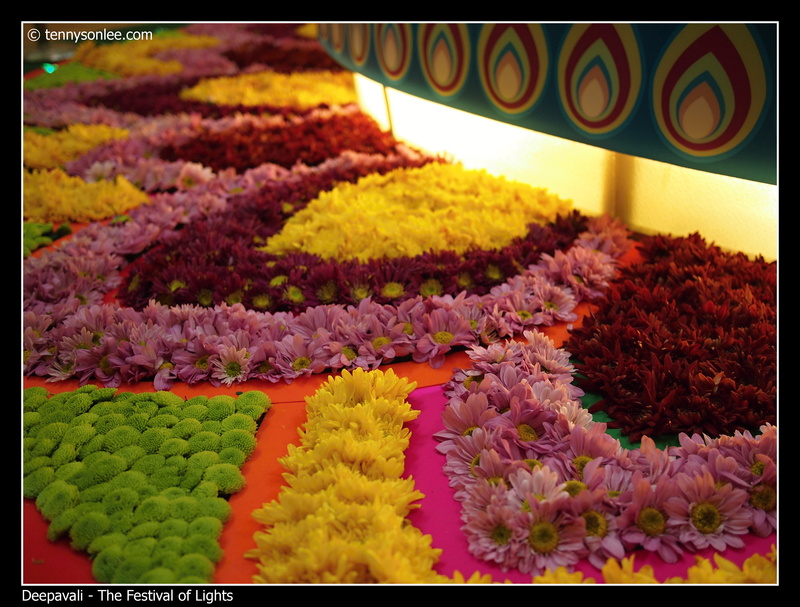 Most of the kolams were decorated using colored rice grains, this one was made from fresh flowers. The love of light was not ‘PS’ (photoshop) but act of god. It was just an coinciddent that a ray of light casted onto the flower. It disapeared in less than a minute. 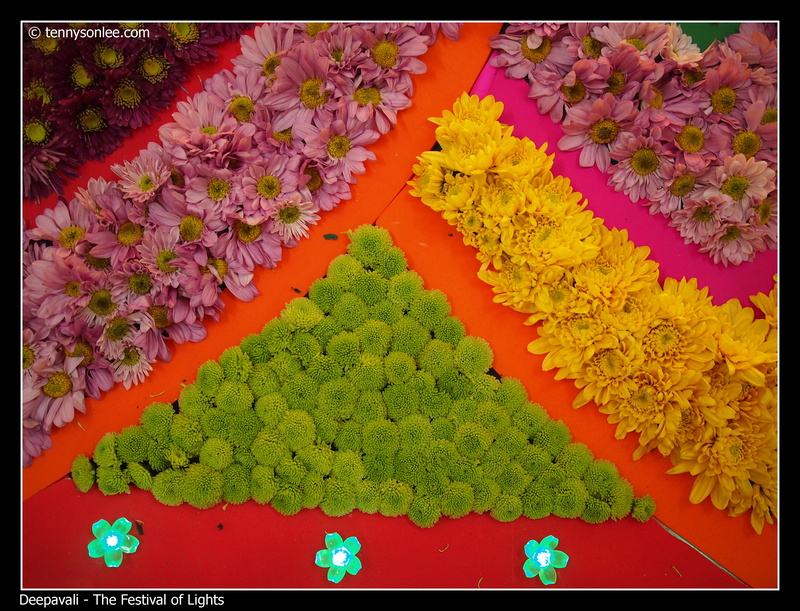 The flower pattern was very pleasing for the eyes. 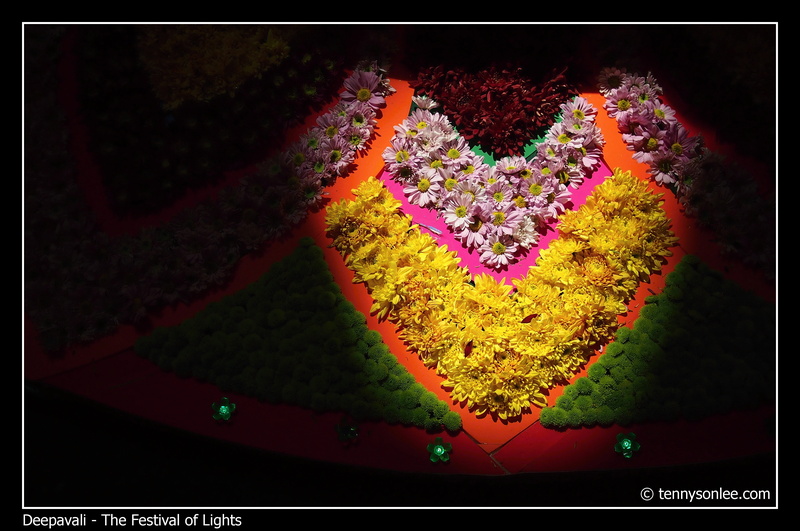 The tiny green color chrysanthemum was my favourite. They looked adorable and every visitors like to touch them. 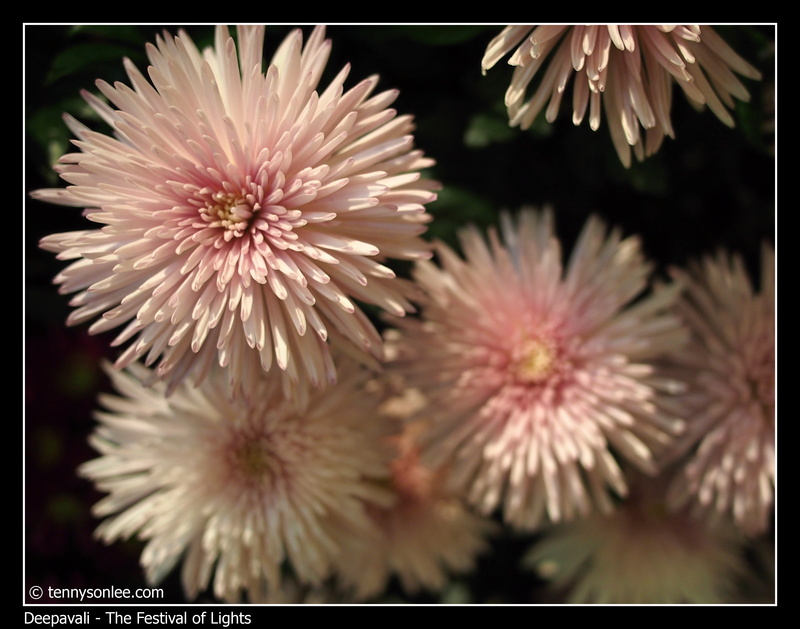 Chrysanthemum signifies life, and it is a common flower to be used in religious offerings. The ceiling light of the shopping mall was not ideal, so I am so happy when there is a small ray of natural light landed on the flower. Light is the key deco on Deepavali. 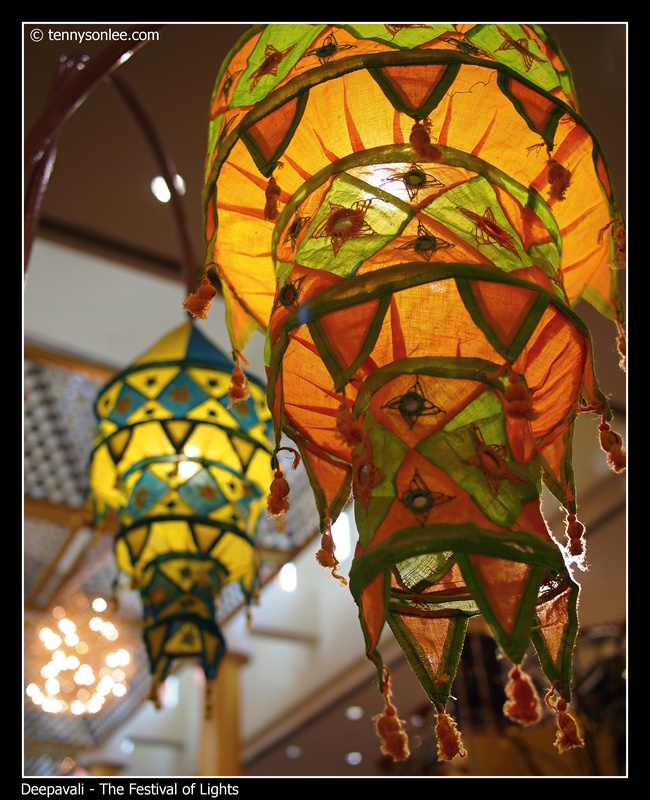 For safety reason, Indian cloth lanterns will replace actual candles or oil lamps. It might be perfect with there was Indian music and traditional dances to highten the festive atmosphere of Deepavali. 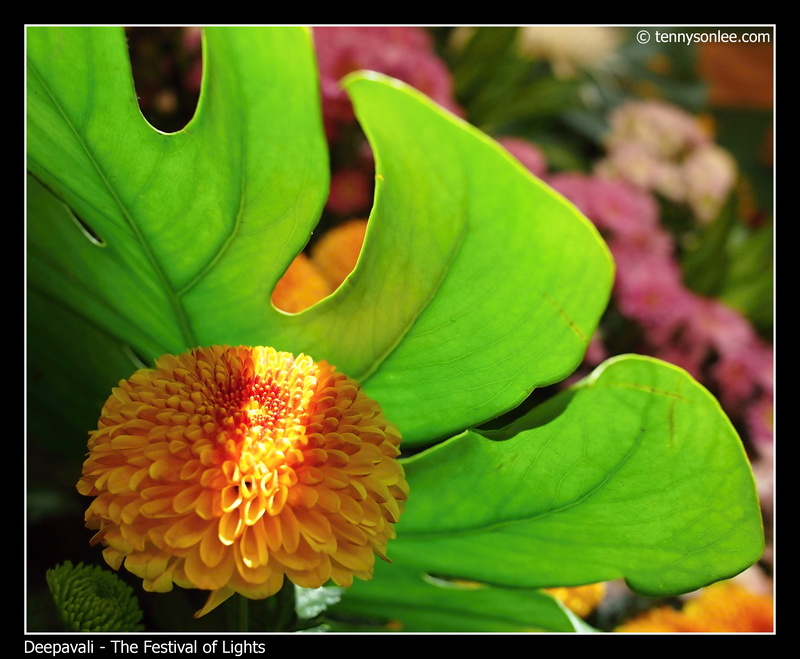 I wish those who celebrate Diwali/Deepavali have a peaceful and wonderful celebration. May good always beats evil. This entry was posted on October 16, 2011 by Tennyson. 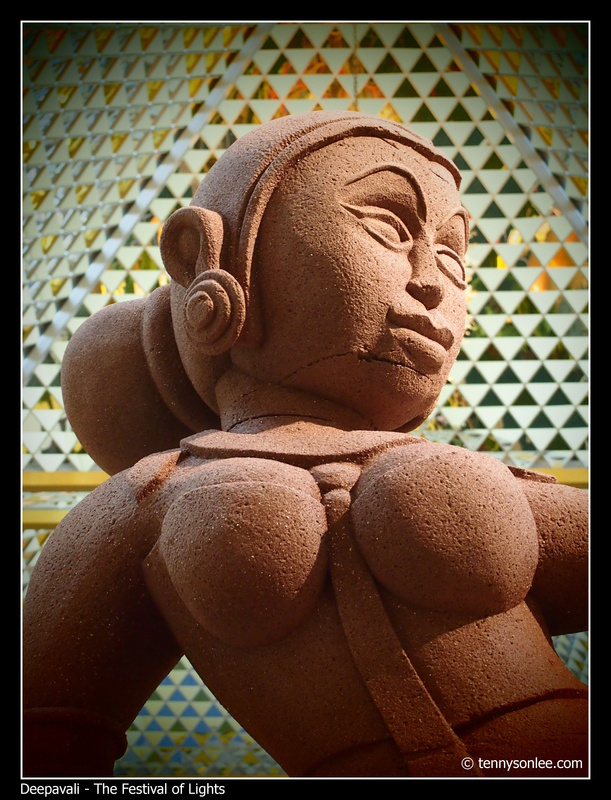 It was filed under Culture and Religion, Festival, Flora, Malaysia, Places, Selangor . Love the detail and colours! You have a good eye Tennyson! Thanks for sharing!